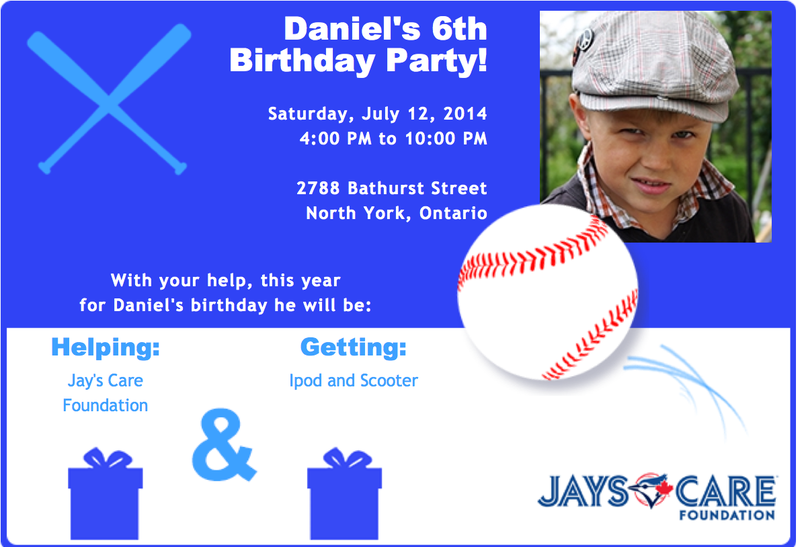 Kaleb Hits a Home Run with Jays Care Foundation | ECHOage - Get great gifts. Give to charity. Kaleb, age 6, raised $280 dollars for Jays Care Foundation and got an Xbox 360 at his recent ECHOage birthday party. ECHOage birthday party. “I chose to support Jays Care because I love sports and I wanted to help more kids play sports and exercise is very important to kids. With the generosity of his friends, Kaleb can now play baseball 365 days a year on his brand new Xbox. Sounds like the experience of giving and getting at Kaleb’s ECHOage birthday was a home run!